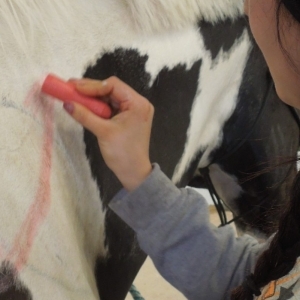 Healing Reins’ Taking the Reins program is part of an emerging field of evidence-based, equine-assisted therapeutic work designed to build resilience in teens. 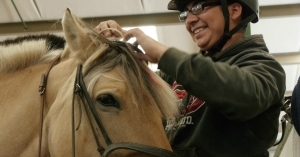 The goal of Taking the Reins is to help youth acquire skills needed for recovery. Skills like how to set and maintain healthy boundaries, develop trust in self and others, practice impulse control, and build confidence, self-esteem, and resilience. Teens also work to overcome vulnerability by sharing with, and seeking support from, their peers. Learned skills and abilities translate from the arena to school and home, helping youth to thrive. If you are interested in contracting with Healing Reins to offer your organization these therapeutic group experiences, please contact Polly Cohen, Program Director for more information at 541-382-9410.